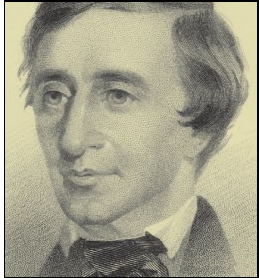 Henry David Thoreau might have summed it up best when he wrote about leading "lives of quiet desperation," but the world is a garden vast and full of wonders, many of which escape our scope of understanding. For example, did you know former Alaska Governor and Vice Presidential Candidate Sarah Palin just launched her own online television network? That's right. The Sarah Palin Channel featuring none other than Sarah Palin is available for your viewing pleasure for the low subscription price of $9.95 a month, or (for the frugal amongst us) $99.95 for the entire year and that's a savings of about $19.45 over the course of the year. This is guaranteed to be entertainment at it's absolute best. Sarah, an accomplished musician (she plays the flute) and former FOX News host may be jamming with former President Bill Clinton. After all, he plays the Sax and Sarah, who will be producing and directing her own network knows what a ratings coup such a moment would surely be Slick Willie and the Alaskan Hussey might even come up with a song of the year. Stranger things have happened. Late Night Entertainment Hosts, such as David Letterman and Jay Leno employed a horde of comedy writers to help them deliver material intended to fill us full of laughter. Sarah has been extremely sufficient at doing this without any help at all. All one has to do is hark back to her knowledgeable exhibition of American History. Paul Revere, of course, rode through towns ringing bells and warning the British. I'm betting he really cried The Americans are waiting! Or, that New Hampshire is truly part of the Great Northwest. And if that isn't enough to break out the credit card for a one-year subscription, consider her comments back in 2008 regarding our troops building schools in Afghanistan so "that there is hope and opportunity in our neighboring country." I'm hoping for a half hour feature called Finding Canada, modeled after the Where's Waldo game. Palin, an accomplished author much like Henry David Thoreau, also has her eye on the White House. This aspiring Presidential hopeful could finance her entire campaign and bring total unbiased reporting with all the money she'll rake in from subscribers of the Palin Television Network. Can we call it PTN, a network that may very well redefine the whole concept of a one-on-one interview? No smoke and mirrors for this segment of the show. A lousy mirror will be fine. Yes, Kate. We may very well be living lives of quiet desperation, but life is full of moments of simple spiritual renewal, like the endless possibilities of newly formed friendships and the quiet love and support of family. The world is ablaze with fascinating wonders, like the simple collapse of the defending World Champion Redsox and if you're spiritually down and out: take this into account. 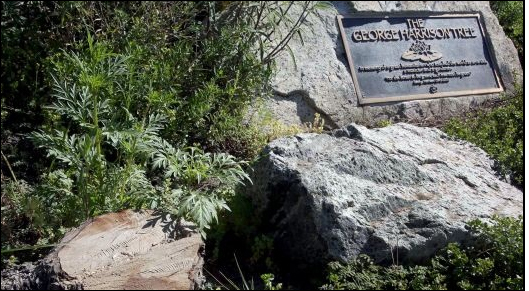 Only through the grace of God could a tree planted in memory of former Beatle George Harrison end up dead and ravaged by, of all things, beetles.